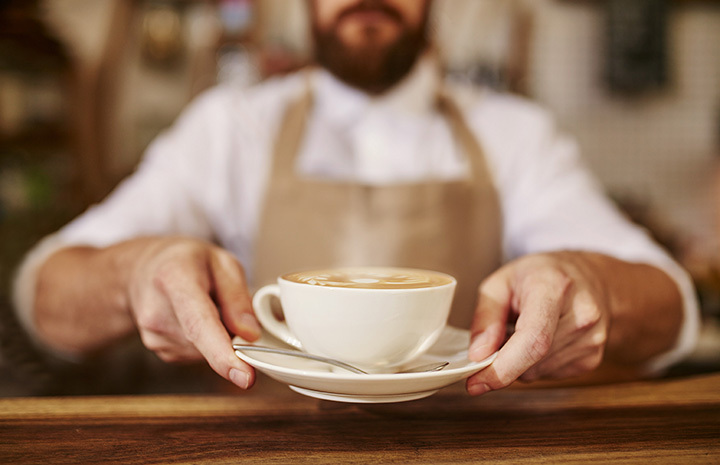 America’s treasured and most delicious stimulant, coffee is increasingly-important in the evolving economy and increasingly-popular in society. Whether as a means to clear a foggy head or enjoyed with a pastry and newspaper, or as an antidote to the afternoon lull, this deep brown elixir fuels the everyday. Myriad shops dot Montana’s university towns, gas stations and rural outposts. Here are the 10 best. For over 35 years, a farmhouse in rural Whitefish has been home to Montana Coffee Traders’ roasting operation. And unlike most coffee houses in the nation, these beans are roasted at the same elevation they are harvested—maintaining more essential flavors of the raw product. The Beall Family succeeds in maintaining a friendly, intimate process that respects the coffee bean and ensures a happier environment for employees (which, in turn, produces an excellent product for customers). Not only is the coffee as fresh and local as possible, the shop exhibits an impressive selection of global varieties— experiment with a well-balanced Montana Blend or a slightly sweet Ethiopian Yirgacheffe. With five rotating locations throughout Missoula, these eccentric coffee spots are hard to miss. And the shop’s name is on the nose: They’re bright red retired cabooses of varying size providing tasty espresso and coffee—no frills whatsoever. A talented and engaging staff slings a long menu of caffeinated items, hot and cold: lattes, mochas, chai, teas, frappes and more. And if time is of the essence, the full menu is available for call-ahead orders. Especially given the demographic influx from Carroll College, the state’s capital has a plethora of choices for coffee joints. But Fire Tower is worth checking-out. This Helena coffeehouse has an unassuming exterior: A few panes of glass beneath a humble awning. But inside, customers usually comment on the comfortable, mahogany seating and the smell of roasted beans that fills one’s head. The friendly, down-to-earth service and laid-back atmosphere belies a great food menu—favorites include breakfast, the turkey and BLT sandwiches, and locally-made ice cream. And the homemade bagels are great accompaniments to an excellent latte, artfully signed with a design in foam. Even though its population hardly scratches 5,900, Lewistown is an oasis in a relatively barren area, smack-dab in the middle of Montana. The Rising Trout is similarly a wellspring for coffee drinkers. The spot for great brew, pastries, and the cozy atmosphere to sit and read. A simple chalk board usually sits outside, quipping about coffee, the beans for which are organic and freshly roasted, of the highest quality and locally-sourced when possible. And the cafe also hand-makes coffee’s soulmate: pastries and breads. Particularly, customers rave about the scones, bagels and cinnamon rolls. Since 2008, this Billings coffee joint has delivered on its precepts of quality coffee and obsession with meticulousness and passion. The foci here are minimizing the time from farm to cup and small-batch roasting and processing. Private rooms can be reserved, including a lounge and more formal meeting space, and a mobile truck is available for events. The ubiquity of glass lets in plenty of pleasing natural light, and a series of highboy tables lining the windows are great spots to socialize or study. Though just barely over five years into the business, Cold Smoke has hit the ground running. It’s got great coffee in an atmosphere that’s casual yet clean, modern yet down-to-earth. Here, the search for perfection is perpetual and centers around quality: Beans are organic and many are directly-purchased from farms, espresso is crafted using top-of-the-line Synesso machines and roasting occurs in micro-batches. There’s a relaxed vibe and modern space—with high boys, booths and tables that welcome lengthier stays. And, on most Friday evenings, a live band sets up shop. A great selection of teas, smooth and delicious iced and hot coffees, and a knowledgeable and affable staff make daily visits to the coffeehouse a welcome addiction. While still a relatively “new” business, Press is in fact housed in the town’s historic greenhouse. The dining area is lined with neat wooden planks and sits just above adjacent rows of long wooden tables that once supported flowers, herbs and vines. These tables sit below the original glass enclosure epitomizing greenhouse architecture. The sunlight once supporting lush greenery now provides a soothing ambiance to a cup of coffee or cup of soup. The friendly staff and quality coffee add to the singular experience of relaxing in a greenhouse. Glacier Perks is found in a large, wood-paneled building, beneath an “espresso” sign and Ice Cream written in neon. Along the southern shores of Flathead Lake, the mountain air and small-town hospitality saturate this coffee shop. It brews a great espresso and coffee—just hot enough, not too bitter, and affordable. In addition to the chocolatey roasted beans and gorgeous mountain setting, this house serves excellent breakfast, lunch and pastries: quiches, sandwiches, scones, cookies and cinnamon rolls, all made in house with local ingredients. Rather than the hip and modern, or sterile and pretentious, Sweetwater is no-frills. It’s the casual coffeehouse where you meet up with a friend, and sip on coffee and nibble scones while the minutes melt in to hours. The exterior is that of tall, narrow brick, a high-rise of the Old West. The interior is immediately welcoming: the rectangular space is softened by warm woods on the floor and ceiling, and it’s given a nostalgic-neighborhood feel with exposed brick and hanging lightbulbs. The coffee is tasty and comforting, and as opposed to most, this shop doesn’t let food fall by the wayside: they’ve a simple green salad, a decent Reuben sandwich and cookies that are baked every morning. Call it the ‘Zoo, or Zoo-town, or just Missoula—nicknames aside, it’s a vibrant and increasingly-hip university town with a growing appetite for quality food and drink. Zootown is strongest in its simplicity: high quality coffee, responsibly sourced, and a laid-back atmosphere (decent music and a comfortable, unpretentious space). The bare-brick walls, wood floors and permeation of natural light makes for a warm and inviting space. Sit along the dark-grained bar overlooking the street, and sip a brew which people-watching.